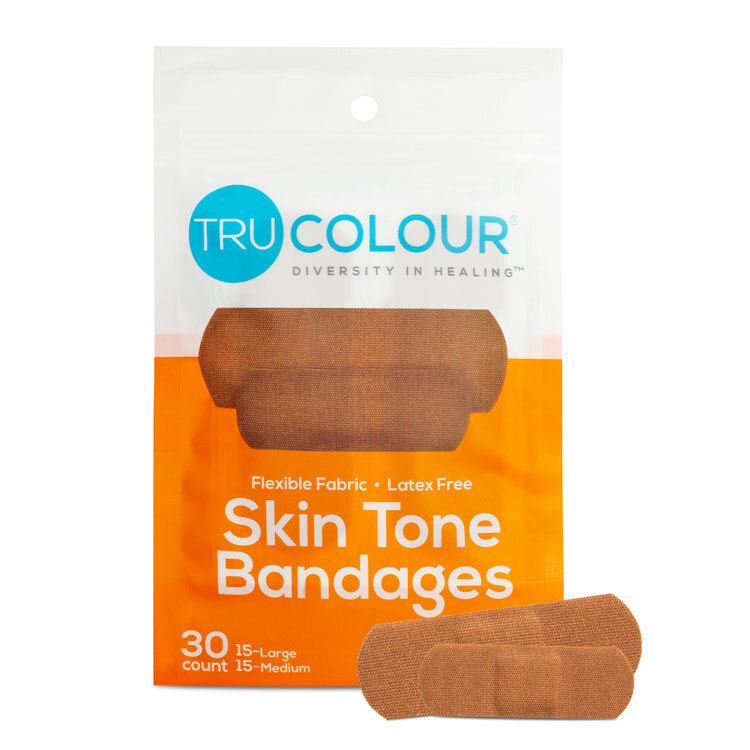 (Medium Tone) Tru-Colour Bandages are flexible-fabric, adhesive bandages that are designed to match skin tones darker than those represented by traditional bandages. 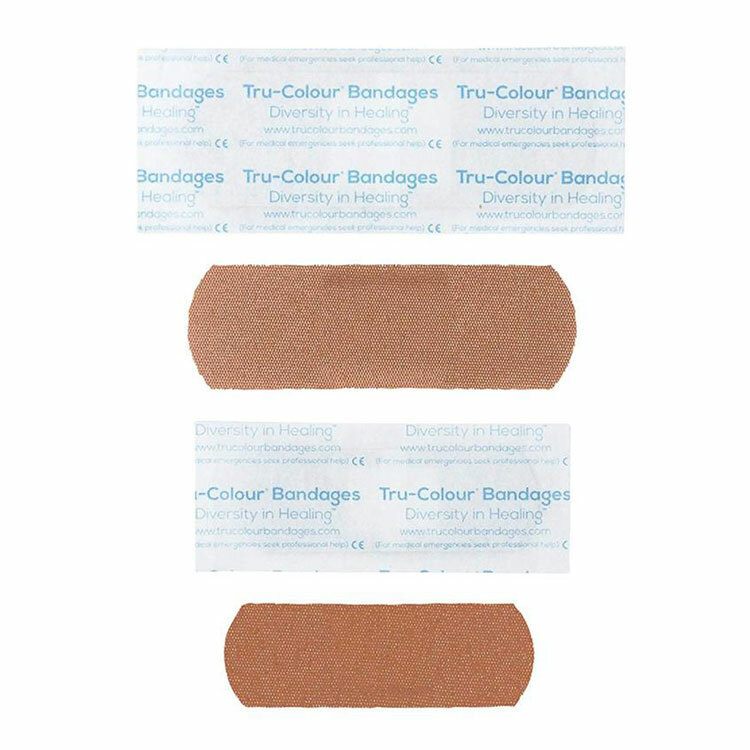 Each waterproof, resealable bag contains 30 bandages: (15) 2.2” x .75” and (15) 2.8” x .96”. 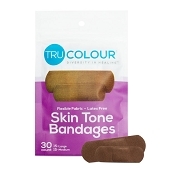 There are 3 different packages for different skin tones. 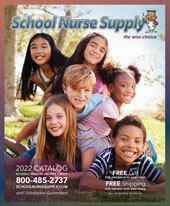 The Green package is for lighter tones, Orange package is for medium tones and Purple package is for dark tones. 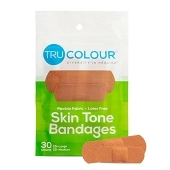 Tru-Colour Bandages are latex free but the wrappers are manufactured with natural rubber latex.